Even when your iPhone is placed in Silent Mode, it can still make a lot of noise by vibrating. 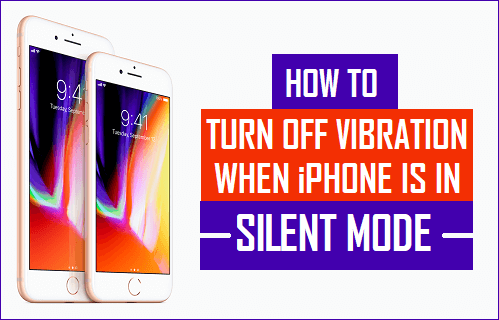 You will find below the steps to Turn off Vibration when iPhone is in Silent Mode. Most people put their iPhone in silent mode whenever they are in a meeting, so as not to disturb others by the sound of their ringing iPhone. Similarly, it becomes necessary to put your iPhone in silent mode at certain occasions or places where it is considered inappropriate to disturb others by making calls or allowing your phone to ring. However, your iPhone can still end up making a lot of noise even if it has been placed in silent mode, especially if it is placed on a table and it starts to vibrate. Hence, you may want to make sure that your iPhone remains truly silent by turning OFF vibration, whenever you feel the need to do so. You can follow the steps below to Turn OFF Vibration when iPhone is in silent mode, in order to rule out the chances of your iPhone distracting others. 1. Open Settings on your iPhone. 3. 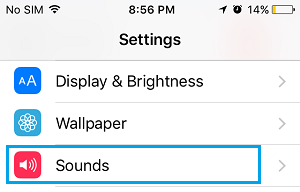 On the Sounds screen, toggle OFF the option for Vibrate on Silent located under “Vibrate” section (See image below). Depending on your choice, you may also want to Turn off the option for Vibrate on Ring. This will prevent your iPhone from vibrating while it is already alerting you by ringing. 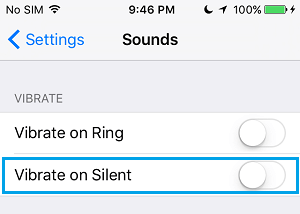 After the meeting or the event is over, you can always go back and enable the option to Vibrate on Ring, Vibrate on Silent or both of these options on your iPhone.